He raised his cell phone as if to tell the world, watch out, we are connected to each other and truth. Teenagers are masters of social media, and if social media can elect a president in 2016, social media can create a revolution. And teenagers can do it. He concluded like this: “Thank you. And hello Uncle Miron.” Leave it to teenagers to be real, and they were all real. A young woman worked up so much emotion that she threw up! After she recovered and returned to the microphone, she laughed as she shouted, “I just threw up on international television, and it feels great!” As I said, these young people were very real. She then led the huge crowd to sing “Happy Birthday” to a young man who had been senselessly murdered in front of her at the Parkland high school. And she still had marks on her face from shrapnel at the high school shooting. I admire every single young man and woman who spoke yesterday. Their eloquence and passion were beyond anything adults are capable of. And we had a large rally here in Portland, and in 800 other cities and towns. I hope some of these young people will go to Washington some day and really drain the swamp! Violence cannot drive out violence. Only peace can do that. Poverty cannot drive out poverty. Only resources can do that. Death cannot drive out death. Only proactive life can do that. Wow! And he went on to quote Ephesians and 1 Peter and called for loud responses from his listeners. For a moment those 800,000 youths were in church! A black church, to be sure. The silence that Emma Gonzalez led in remembrance of the 6:20 time span during which the shooting rampage lasted at the Parkland high school was powerful, emotional and intense, prompting occasional outbursts from some of the young people present, probably to release the pent-up anger and grief. Moments like that are rare on television. Speaking of television, two news channels covered the speeches by the young people without commercials. One other news channel preferred to show adults talking about the march. Perhaps they were concerned that the young speakers would say something that would offend the sensitive ears of their viewers. Most adults prefer to listen to adults instead of the young. Many of us wonder why young people are leaving our church – our churches! Because churches also do not listen to youth. Yes, we enjoy their Sunday School and Greek School presentations. But then what? And I’m not asking what programs we have for them. The kids are a program to themselves! They’re not interested in what dances and entertainments we can organize for them. As Marjory Stoneman Douglas senior Delaney Tarr put it, “We are not here for breadcrumbs, we are here to lead.”. That’s their message to the churches as well. Are we listening? The Archdiocese organizes the St. John Chrysostom Oratorical Festival every year – a well-meaning event and some of our young people have participated. But the topics are handed out from which young people are to choose – instead of letting them speak whatever they want to speak about. So the results are the same – young people parroting what old men speak and want to hear back. And I too am an old man now. As the rally drew toward its close, Jennifer Hudson sang the great Bob Dylan song, The Times They Are A-Changin’. 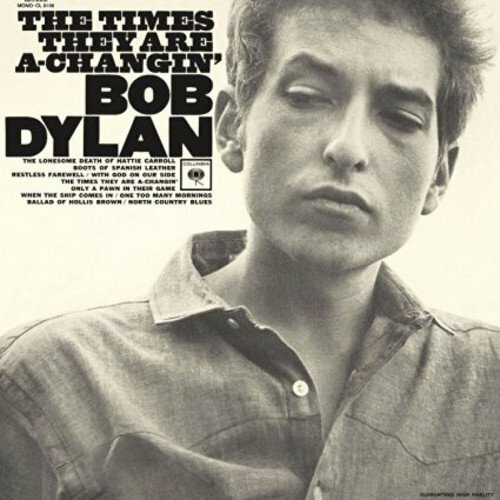 Dylan wrote the song 55 years ago, but it is just as relevant today. Listen. My generation, the 1960s generation, rebelled, but the rebellion quickly turned to drugs and abortions. Even Bob Dylan threw in the towel, and turned into something else…and something else again… and something else again…and something else again. See, my generation liked to reinvent itself every few years. It’s part of the self-realization nonsense that so many Baby Boomers bought into. Find your bliss, and all that. I hope and pray that the young people I watched yesterday will not need to reinvent themselves any time soon. 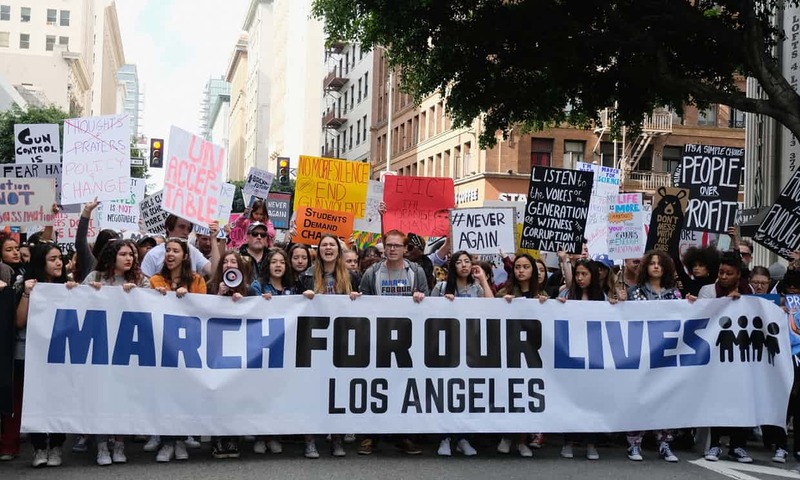 They are already fully mature and they don’t need any adult to tell them how to make their message more effective, more balanced, more acceptable to the adults, to those 60s rebels, my age group, who are now the swamp. I have great hope for these young people as they become politicized. They could bring the change the world needs – if they resist the pull of the swamp. Because as David Hogg, one of the leaders of the rally, put it yesterday near the end, everyone can be corrupted. I pray that these kids will not be corrupted. 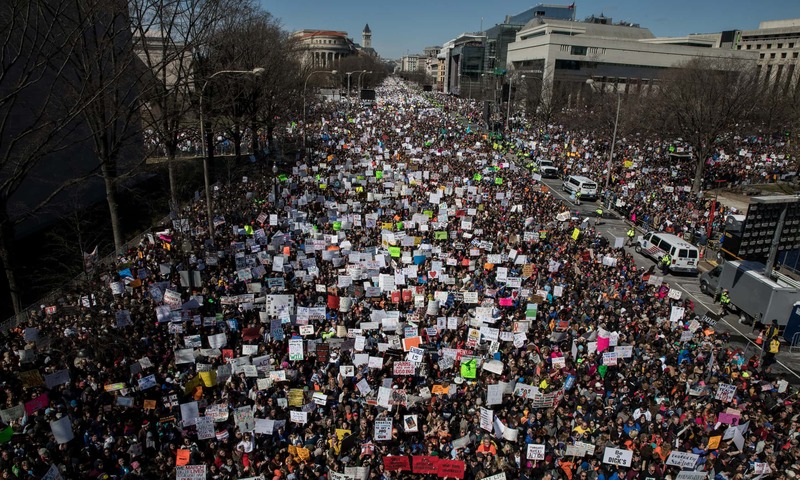 Categories: In the news, Sermons | Tags: Bob Dylan, gun control, March For Our Lives | Permalink.